In Zurich, art and culture enthusiasts will find a lively cultural scene with countless museums, concerts and events. Museums, concerts, theaters and festivals: in Zurich, art and culture lovers can find a vibrant cultural scene. 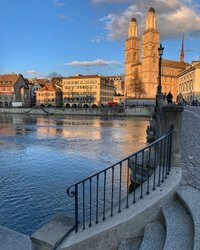 Zurich is not just home to major institutions such as the Opera House or the Kunsthaus. Many smaller cultural organizations, events and initiatives go towards creating a lively cultural scene in the city. 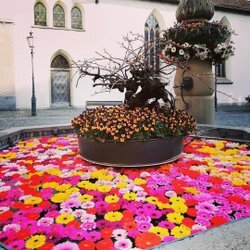 From the Zürcher Festspiele to concerts, dance and film festivals, through to the popular Theater Spektakel: Zurich offers a colorful cultural program throughout the year. The Tonhalle Orchestra Zurich is one of the leading ensembles in Europe and with its 100 or so musicians performs around 100 concerts every season. The Schauspielhaus, too, offers a diverse program. Whether theater classics or traditional or new productions – performances take place here almost every day. Museum lovers can look forward to numerous exhibitions on all kinds of different topics. Whether art and design, science, the world of soccer, money or even sewing machines – there is a museum to suit each and every interest. Talks, guided tours, and events on the design of the future. These and many more top galleries in Zurich represent contemporary art of international repute. 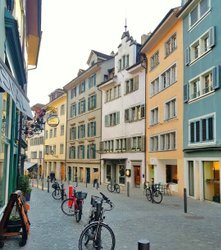 Those who want to learn all about Zurich’s history are recommended to follow this one-day itinerary.